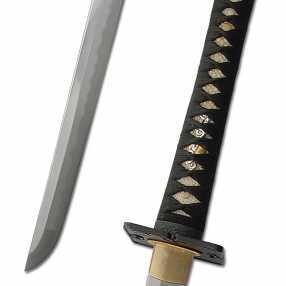 This sword is heavily based on an replica sword on display at the Iga Ninja Museum in modern day Mie prefecture, Japan. Whether or not these swords actually were used by the Ninja is a matter of some historical controversy, but this fully functional replica closely approximates the sword on display there and if they were used, would be a sword carried by a Shinobi when on night missions where no disguise is used other than the shadows themselves.. 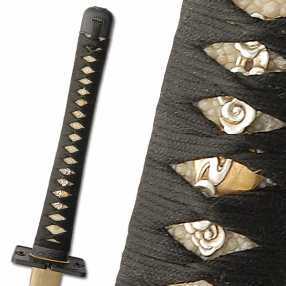 The dismountable double-pegged Tsuka of the Iga Ninja-To features a traditional wrap over natural rayskin and Clouds and Sun/Water and Moon Menuki. 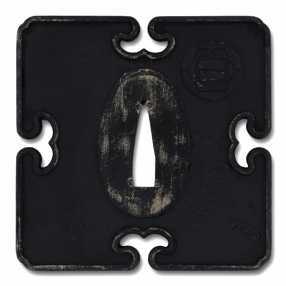 The blackened iron fittings include a Tsuba displaying the Iga Mon and a wave motif, both repeated on the Fuchi/Kashira. 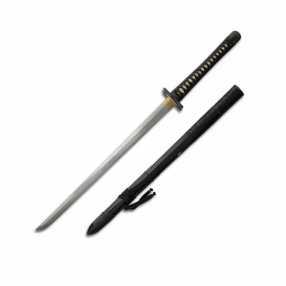 The Saya features a partial rattan wrap and a heavily reinforced spike, which the ninja would use to climb a fence by driving the sword into the ground and stepping on the guard, retrieving it by its long sword knot. The Iga features a forged high carbon blade, differentially quenched to an edge hardness of 60HRc.The kissaki tip is not the standard Chukuto chisel tip, but has a standard Katana tip - which is the same as that seen in the museum replica..
Differentially Hardened Sharpened 1566 High Carbon Steel blade with enhanced hamon. Cotton ito over REAL rayskin covered tsuka. 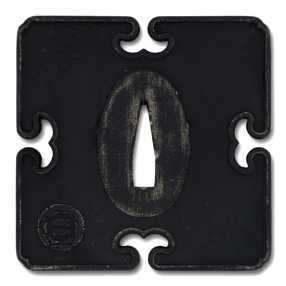 Iron fittings. 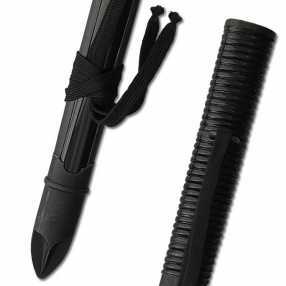 Flat black saya with partial rattan wrap and reinforced spike.